Watch out good fellas, the future smartphone with a long continuous sheet of glass and an edge-to-edge display and no physical buttons is coming even nearer! The smartphone manufacturer UMIDIGI (formerly UMi) is not afraid of causing controversy. Following the iPhone 7 knockoff UMIDIGI G, which is just announced yesterday, a new high-end model from the company is also revealed today on their official website. This time, it comes with the most cutting-edge feature that so far you can only find in a few smartphone manufacturers – the stunning looking all-screen! The new model is called UMIDIGI Crystal, and it is just as pure-looking as its name. 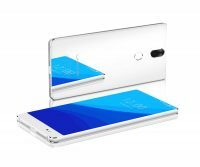 UMIDIGI has made the frameless big screen within reach for everyone with affordable price and at the same time, retaining competitive specs. 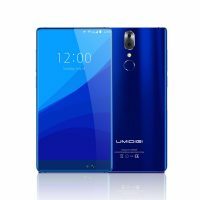 It is widely believed that the all-screen feature would be a smartphone would be more a common configuration, and UMIDIGI has again made themselves the forerunner. Looks like UMIDIGI is courageously taking a head-on challenge with Xiaomi Mi Mix, another well-known frameless smartphone. The Crystal is going to have two versions according to UMIDIGI’s website – the Lumia edition as the pro version, and the all-metal edition, which is going to be the first all-metal unibody all-screen smartphone. Both versions are likely to pack with MTK Helio P25 processor with 4GB RAM and 64GB ROM, and 5.5” full-HD AMOLED screen. 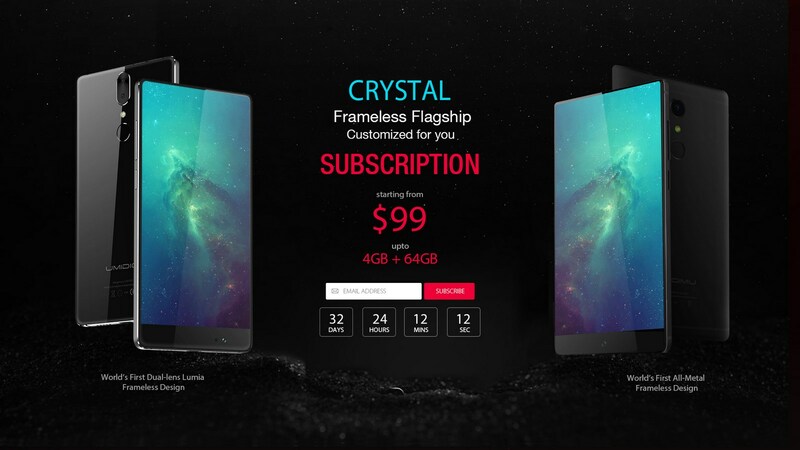 Purchase of UMIDIGI Crystal will be available on 15th June, but now you can get a surprising pre-order price for $99 by subscribing to UMIDIGI’s official website. Will you choose the Lumia edition or the all-metal edition of Crystal?